Since both the Patio Table and Planter are likely to sit out in the rain and sun. I wanted to use glue and finish that would stand up to these conditions. epoxy. A two-part epoxy glue is the strongest waterproof glue, but it's expensive and cured epoxy won't come off anything very easily. It's difficult to scrape off squeeze-out without tearing up splinters of soft redwood. plastic resin. Another option is a moisture-resistant plastic resin glue (such as Weld-wood Plastic Resin). Plastic resin is an inexpensive tan powder that's mixed with water. It should stand up to most outdoor conditions and is available at home centers, hardware stores, or the sources below. finish. To finish these outdoor projects, I applied two coats of a 50/50 mixture of Mc-Closkey's Man O'War Satin Spar Varnish and McCloskey's Stain Controller & Wood Sealer. (This is a thinned down tung oil.) 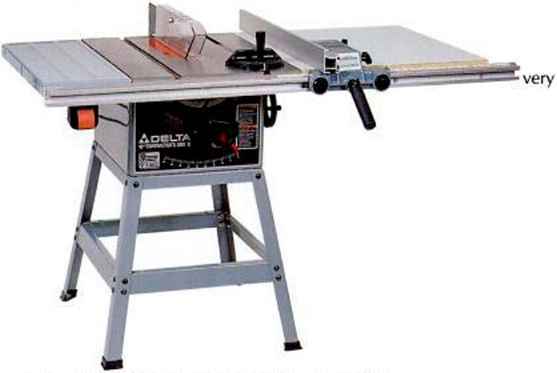 These products are sold at home centers and hardware stores, or can be ordered from The Woodworkers' Store, see below. paint. On the back cover we're showing a pine Planter Box primed with a coat of Rust-Oleum's light gray Wood Saver Primer. Then it was sprayed with two coats of Rust-Oleum's birch white Wood Saver Enamel from an aerosol can. Rust-Oleum's Wood Saver products are available at many paint stores and home centers.